Because creativity should never fall asleep, even in the darkest of months! 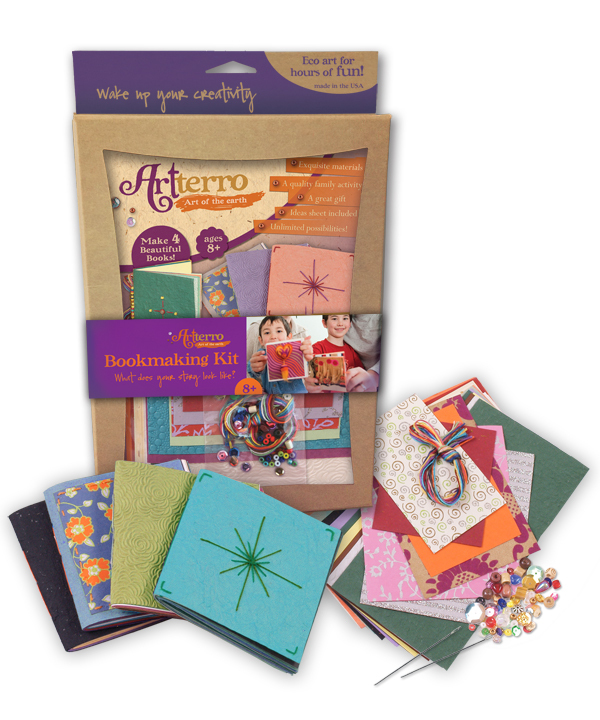 I am sure most of you have heard about Artterro but for those who haven't, they create art kits for kids of all ages and abilities. Not only do they use eco-friendly materials for their kits but they are committed to using as few resources as possible, respecting and enjoying the company of the people they work with, and taking into account the social and environmental impact they have on the planet. Bookmaking Kit and Paint With Wool Portrait Kit, worth $40. 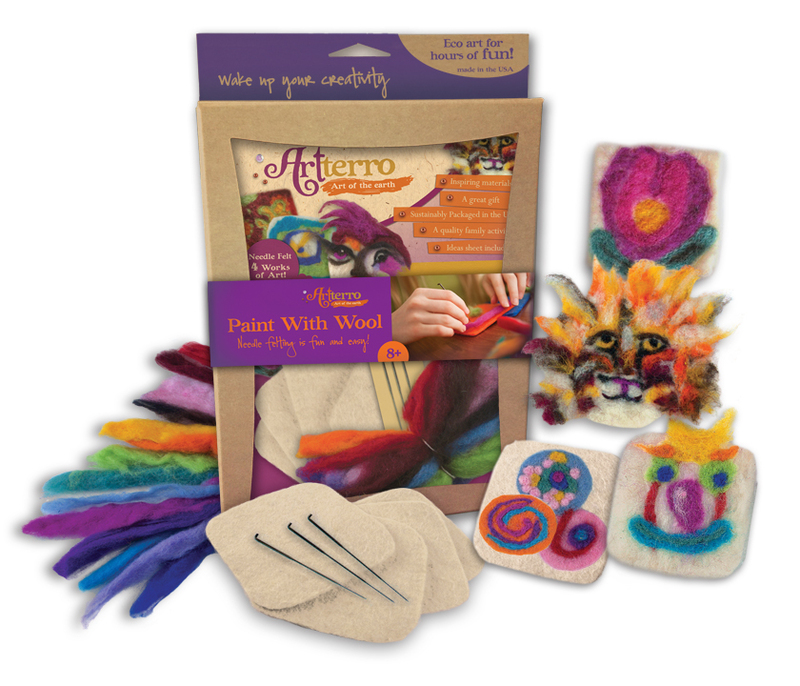 Paint With Wool: This kit is a perfect introduction to the art of needle felting. Very satisfying and easy to do, simply poke colorful roving wool into the base shape with a felting needle to paint pictures of anything you can imagine! No glue or sewing required. Create four 4-inch masterpieces. This eco art kit provides hours of fun with friends & family, and includes a bonus project--the box turns into a frame for your finished artwork! Ages 8 and up. Bookmaking: Make four small single-signature books with gorgeous handmade paper and decorative beads. Use as journals, portfolios, scrapbooks, or write and illustrate an original story! Use leftover paper for fancy custom greeting cards. This eco art kit provides hours of fun with friends & family, and includes a bonus project--the box turns into a frame for your finished artwork! Ages 8 and up. 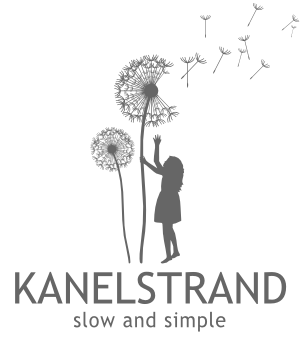 This giveaway is open to all Kanelstrand subscribers. (If you are a new reader, just make sure to subscribe first using email or RSS feed). I like the Creativity Kit because there are a wide array of things to make, so my daughter would have enough variety to keep her interest. The Art Journal kits look very cool to me! I think both I and my daughter would have a lot of fun with one of those! The wool felt wearables is my favorite because I love wool felt jewelry, especially brooches. My fav is the Canvas Storybook kit. I would make it for my granddaughter...art & reading are most important. I love the wool felt-always a interesting process! Thanks! I love all the kits, especially the wool felt bugs. My favourite is probably the art journal kit! These look like wonderful kits. There's nothing better than learning new skills. Wow, the needle felting kit looks like lots of fun... I've always wanted to learn! wool felt bugs.. because my son would love it and i love doing things with him! I like th canvas storybook. My son would love it. The needle felting kit! I've never done that before. I like the wire creations in the Garden Art Kit. the bubble wands kit looks fun, because bubbles are just fun in general! Love the Bubble Wand kit! I love the wool felt wearables kit! love the wool felt wearables, and the paint with wool. felting is something i would love to get into more, and these kits seem like something that could help that! I definitely like the art journal kit! I'd love to try the Wool Felt Wearables Kit because I love to make jewelry. I love the Garden Art kit! Fun stuff for the kiddos to do! Hope I win! I like the Creativity Kit but it leads to so many possible creative projects! My favorites are the art journal kit and the bookmaking kit! The Art Journal kits and the bookmaking kit are very cool to me! Bookmaking, because my son is starting to write his own stories. Bookmaking Kit - I love books! I'd love the book making kit! I write in books all the time and am always carrying little books for notes. I'd love to make my own. The book making kit would be a perfect gift for me. We are a gardening family, and I think my daughter would love to contribute to the garden with the Garden Art kit! Wire and bead is the one I'd like to try..my grandangels K & M would love to make these with Grammy. I think this would make some awesome Christmas presents! I like the art journal kits. My niece loves to draw and this would make a great gift for her. the wool felt kit looks great because my daughter loves felting! I like the creativity kit because it gives you a bunch of different types of materials.